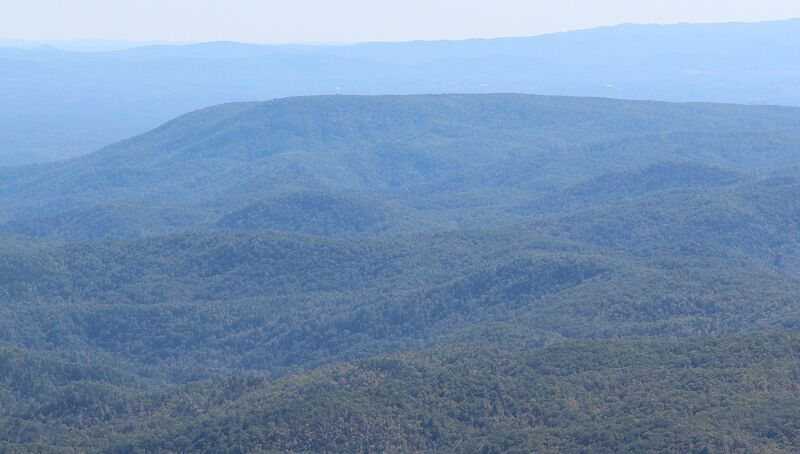 A photo of Brown Mountain in the Pisgah National Forest, North Carolina, USA. Brown Mountain is famous for mysterious lights that appear on and around it at night. The photo above was taken by Wikimedia Commons user 'Thomson200' in october 2016. This copy of the image comes from the Wikimedia Commons website [Link Here].